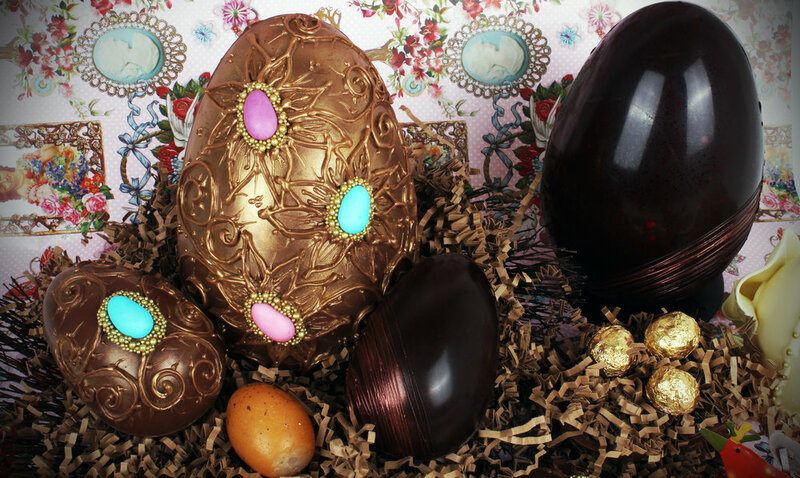 Come and learn new Chocolate skills just in time for Easter! Join in the fun at the Chocolatician's Workshop, 402b Brighton Road, Shoreham by Sea, West sussex, BN43 6RF. As featured in this month's Viva Brighton Mag! Call now on 07813 619667 or 01273 809689 to book your place on Thursday 29th March 2018- 2pm till 4pm. Learn some new chocolate skills- how to fill a bunny lolly mould, make a spring chocolate bauble or create some delicious chocolate art using edible transfers and delicious nibbly bits. The session is £30 per adult and everyone will go home with enough chocolate to be mistaken for the Easter bunny ! If you cannot make this date then get in touch - hello@chocolatician.com- to arrange your own chocolate experience with the Chocolatician. What's up folks? Yes that's right it's nearly chocolate cumberbunny time again! You remember you may have seen the little fella hop out of a whole host of media forums such as The evening standard, Telegraph, The Metro, Bored Panda and Vanity Fayre to name but a few. After the amazing success of the Cumberbunny last easter and the unfathomable drive it gave to the launch of Chocolatician, it is time to leave the hutch door ajar and release the iconic chocolatey rabbit back into the world and see what mayhem it can cause this time. Check out this article about the rise of the Cumberbunny as a meme and the battles that have ensued !! Order yourself or your Cumberfan one now in time for Easter. The chocolate bunny is hand moulded using Belgium chocolate. Please allow 7-14 days for delivery as these creatures take time to create and package up safely for the journey. Shipping still only available to the U.K. and parts of Europe. We apologise to all the wonderful U.S, Australian and Asian fans who have shown such incredible support for the Cumberbunny. Getting chocolate celebrity themed things overseas, through hot countries and hot border control is a very tricky business. Please sign up to the newsletter if you haven't already to get updates. If you are coming over to the U.K or know someone on the island who might be able to help get one to you then get in touch for local delivery.